Join us for our annual fundraising breakfast. 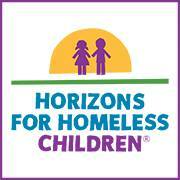 This year our organization will be supporting "Horizons for Homeless Children." Come and hear more about this fine organization from Kathie Carroll Day, Managing Director and Deanna Dwyer, Director of Marketing & Communications. Don't forget your checkbook or credit card. Homeless children have twice the rate of learning disabilities and three times the rate of emotional-behavioral disorders than children who are housed. For parents, homelessness is a traumatic experience that leaves them feeling very disempowered. At Horizons, we provide high-quality early education and opportunities for play so children can keep up with their peers. We support their families and help them reclaim that power, so they’re able to get their families on a path to future success.